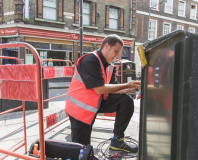 Virgin Media today announced the beginning of a small-scale trial of a 1.5Gb/sec broadband connection in London. Originally announced back in April, the network is now up and running, offering blistering speeds in the Old Street area of the city. This area is also where TechHub is located; a community and workspace for technology entrepreneurs. The service, which is the fastest in the world, is only at the testing stage at the moment, but Virgin Media has said, tantalisingly, that it uses the same DOCSIS2 backend infrastructure that's used by its current 100Mb/s service. The 1.5Gb/sec download connection, which is 240 times faster than the national average broadband speed, comes complete with a maximum theoretical upload speed of 150Mb/sec, and Virgin says the project was made possible by the company’s £13 billion private investment in its fibre optic network. We’re unlikely to be seeing these kinds of connections rolled out across the country any time soon, but it's still exciting to see projects such as this being trialled. Communications minister Ed Vaizey, who was at the unveiling of the trial agrees, stating that ‘it is fantastic to see the fastest internet speeds in the world over cable being trialled here in the UK. Is there any need for such a high-speed connection? Will faster internet connections change the way we use the Web? Let us know your thoughts in the forums. Project Lightning to reach 4M. 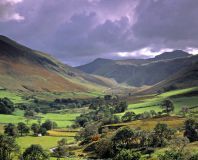 Broadband coming to the middle of nowhere near you? 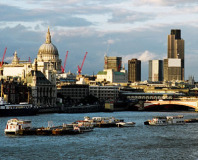 Virgin Media is in talks with London councils about offering a free 0.5Mb/sec network.